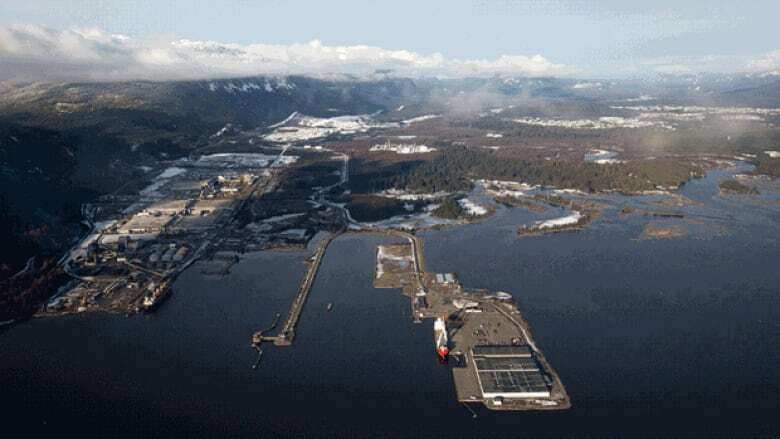 Lawyers for environmental groups have pressed Northern Gateway pipeline representatives about the hypothetical possibility of Chinese interests buying control of the project. Barry Robinson, one of the lawyers who represents three different environmental organizations, raised the issue Saturday during federal review hearings into the proposed $6-billion line, which would ship Alberta's crude to the British Columbia coast where it could be loaded aboard tankers. Robinson told the hearings, which are being held in Edmonton, that Chinese companies already own oilsands resources in Canada. He asked whether the pipeline project's proponents have considered the economic effect should Chinese companies buy a share of ownership in the pipeline as well. Paul Fisher, a vice-president of the company set up to build the Northern Gateway project, replied that the idea of Chinese investment has not been a consideration. Supporters of the pipeline have argued it's needed to give Canada an alternative to the U.S. as a market for its oil, which in turn would result in higher prices. Enbridge estimates that reaching markets in Asia via Northern Gateway would boost Canada's GDP by $312 billion over 25 years. But Robinson suggested that advantage could be eroded if China gains control of pipeline as well as the supply. "If free market economies aren't at play, where's the economic benefit?" Robinson asked after the hearings adjourned on Saturday afternoon. China's state run National Offshore Oil Corp's was to buy Calgary-based oil and gas producer Nexen Inc. in a $15.1-billion deal, something the federal government is reviewing. The hearing's three-member panel is to make a recommendation to the federal government by the end of next year on whether the pipeline is needed given oil supply and demand, and whether the line can be built and sustained safely. Robinson was at the hearings along with Tim Leadem on behalf of Forest Ethics Advocacy, Living Oceans Society and Raincoast Conservation Foundation, which have intervener status. At Saturday's hearings, they challenged economists who appeared on behalf of Northern Gateway on subjects such as their estimates for carbon offset costs for the pipeline and the potential for changes in U.S. environmental regulations. Robert Mansell, a University of Calgary economist who prepared a report on the economic effects of the line, had warned that a change in U.S. perception of the oilsands could result in import restrictions on Canadian crude. Robinson pressed Mansell on whether the warning meant he believed higher U.S. emissions standards would be detrimental to Canada's oilsands. "I don't think higher emissions standards are in anyone's interests," Mansell answered. Mansell noted that he felt healthier economies, rather than tighter standards, generally lead to better environmental behaviour. He also told the hearing that while some Californian oil production was more environmentally harmful than the oilsands, it didn't always matter. Leadem quizzed Northern Gateway consultant Roland Priddle, a former chair of the National Energy Board, about a report he was involved with writing in 2004 for the federal government about whether a moratorium on oil and gas development in Haida Gwaii, islands off the B.C. coast, should be lifted. One of the conclusions of that report was that it didn't appear likely that the effects of a spill in the area could be adequately mitigated by the available resources. Priddle downplayed that conclusion Saturday, noting that the panel that produced the report wasn't the same as a regulatory hearing. While it heard testimony from stakeholders, he said it didn't have the ability to call expert witnesses. Priddle also said the resources available to deal with a spill may have changed. The hearings are to resume in Edmonton on Sept. 17.